Wherever possible, oral health problems are repaired by a single procedure or short-term treatment project. In certain circumstances, however, a client may require a full mouth restoration to return the set of teeth to intended function. A full mouth restoration, also termed a full mouth reconstruction or full mouth rehabilitation, usually features a number of treatments taking place in a logical series of steps over a period of months. The focus is to rebuild the ability to eat, speak and smile normally, giving you back the full life that you want. 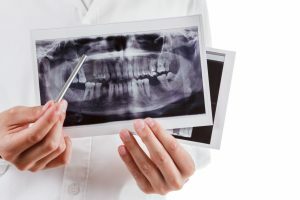 Before beginning any form of full mouth reconstruction, our Placerville dentist concludes a comprehensive examination of your mouth to assess the extent of your problem and to determine the various treatment options. As you can imagine, a careful treatment plan takes place over time — even up to a year or longer. If you and our Placerville dentist decide that a full mouth reconstruction is the best choice, it is critical to discuss the cost of treatment and what is covered by your insurance plan. Our staff presents all of the costs, how they can be paid, and what slice is your responsibility. If you think you might benefit from a full mouth reconstruction, make an appointment today with the Placerville Dental Group and get started on changing your life for the better!